Fall protection is paramount for seniors. 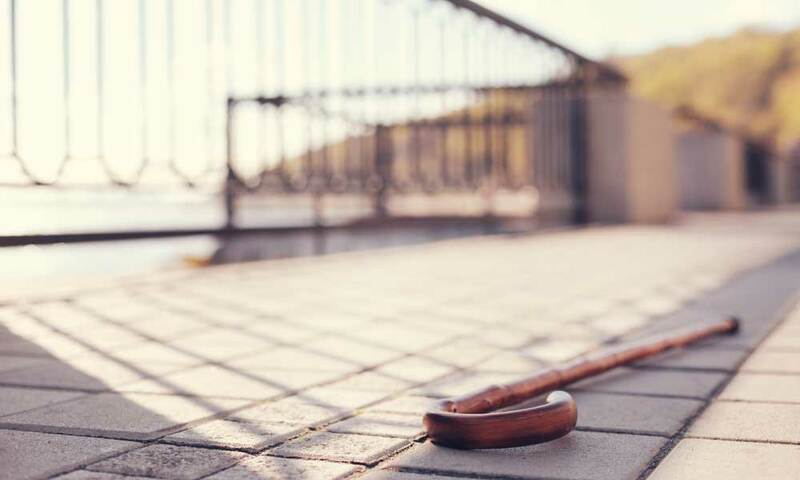 More than 95 percent of hip fractures occur due to falling, and falls are the leading cause of traumatic brain injuries (TBI), according to the Centers for Disease Control and Prevention (CDC). Fortunately, medical alert systems with fall protection are available to help seniors get immediate support in fall emergencies. Let’s take a look at the five best medical alert systems with fall protection. Medical Guardian’s Classic Guardian automatically notifies a 24/7 monitoring center in a fall emergency. The system connects to a landline telephone and base station and allows you to speak directly to a trained operator. Plus, Classic Guardian comes with a waterproof pendant which can be worn in the shower; this is exceedingly important, as the National Institute on Aging notes 80 percent of senior falls occur in the bathroom. Classic Guardian’s wearable medical alert help button provides a 1,300 ft. coverage area. 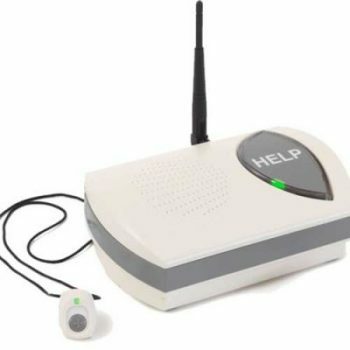 Once you press the button, a wireless signal is sent from the wearable button to the base station, which uses your landline telephone to contact Medical Guardian’s monitoring center. You can also use the base station’s two-way speaker to connect to an operator and request emergency or non-emergency services. Or, if you cannot speak, an operator can still send emergency aid to your home. Price point: Classic Guardian subscriptions start at $29.95 per month. Fall detection can be added to a Classic Guardian subscription for $10.00 per month. 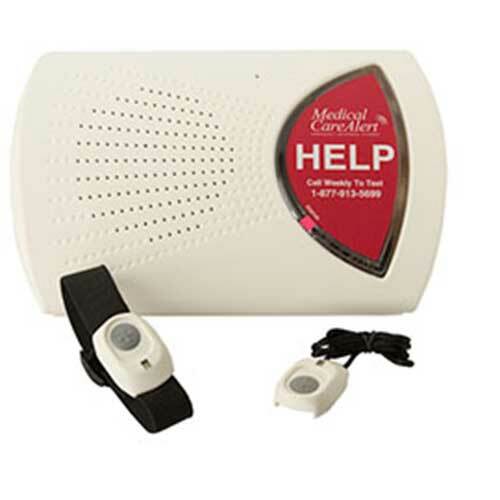 The Medical Care Alert HOME Medical Alert System protects you anywhere in and around your home. It is designed for seniors who spend most of their time at home and want to remain independent. HOME requires you to wear an alert button on a pendant or your wrist. The button is small and easy to use, and it connects to a whole-house two-way speakerphone which offers up to 1,000 ft. of coverage. Optional HOME fall detection pendants are available which detect motion and send a signal to Medical Care Alert’s emergency response monitoring center without requiring you to press a button. A fall detection pendant uses a combination of sensors and software to identify motion. 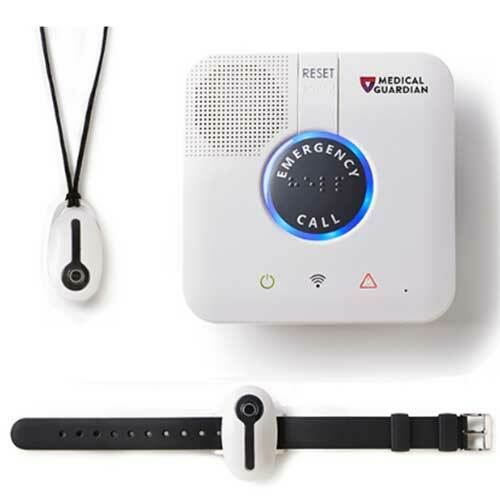 When the sensors detect motion changes resembling a fall, the pendant automatically initiates a call to Medical Care Alert’s emergency response center. Price point: HOME subscriptions are priced as low as $27.45 per month, and HOME fall detection is available for an additional $10.00 per month. 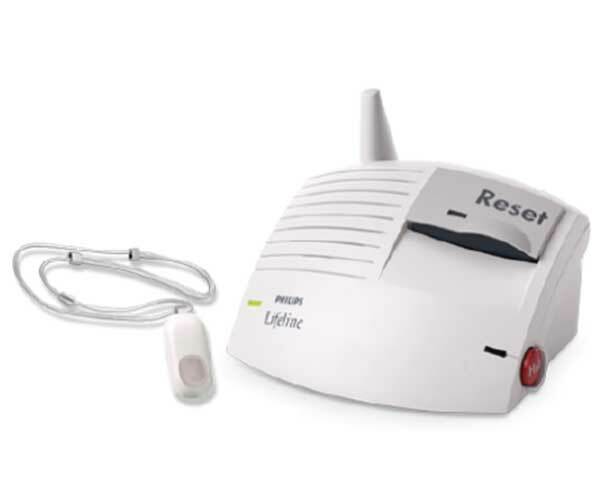 Philips Lifeline offers HomeSafe with AutoAlert, which identifies over 95 percent of falls and offers a low rate of false alarms. HomeSafe with AutoAlert is used by more than 300,000 U.S. seniors, making it the most widely adopted medical alert system with fall detection technology nationwide. It is a top medical alert system for those with a history, risk, or fear of falling, and to date, has been used to detect over 200,000 falls. HomeSafe with AutoAlert automatically detects a fall and immediately places a call for help. It requires you to wear a help button as a pendant with an adjustable neck cord. The pendant is lightweight, waterproof, and discreet, and it connects to an in-home communicator which amplifies sound so you can hear and people can hear you throughout your home. Price point: HomeSafe with AutoAlert subscriptions start at $44.95 per month. They also require a one-time $50.00 activation fee. 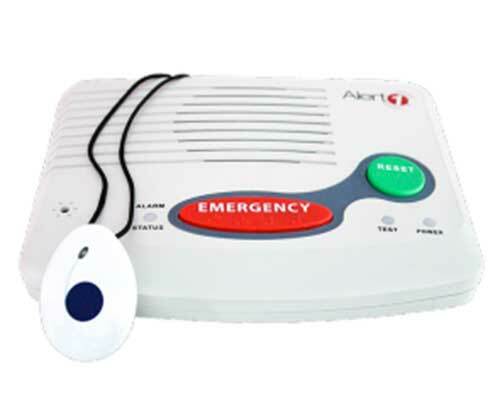 Alert1’s Fall Detection Medical Alert consists of a small fall alert pendant which works in combination with a home medical alert system. The pendant has a lifespan of more than two years and provides unlimited button pushes and talk time. Also, the Alert1 fall protection system arrives preprogrammed, which means you can plug the system into a phone jack and wall outlet and start using it right out of the box. Fall Detection senses a fall and automatically notifies Alert1’s 24/7 Command Center. It connects you to a trained operator who can assist you during a fall emergency. If you cannot speak, the operator follows standard procedures to ensure you get the help you need. Also, this operator stays with you on the line until help arrives at your home. Price point: Fall Detection subscriptions are available starting at $30.95 per month, and Alert1 offers the first month free for annual and semi-annual Fall Detection subscriptions. Bay Alarm Medical’s In-Home System comes with a built-in, high-output speaker and ultra-sensitive microphone for crystal-clear, two-way communication. It can also be used to answer phone calls to reduce the risk of slips or falls due to rushing to pick up the phone. Optional Auto Fall automatic fall detection technology is available to complement the In-Home System. Auto Fall automatically places a call for help in a fall emergency and limits false alarms. It provides peace of mind for those who are worried about a serious fall leading to disorientation, immobilization or being knocked unconscious. Price point: The In-Home System is available for $19.95 per month. Auto Fall can be added to an In-Home System subscription for $9.95 per month. Which Medical Alert System with Fall Protection Is Right for You? Cost: Examine the total cost of a medical alert system, including activation, cancellation, and subscription fees. Durability: Not all medical alert systems are waterproof, and it is crucial to purchase a system which automatically notifies trained operators if you slip or fall in the bathroom or shower. Features: Search for a medical alert system which delivers the right features based on your individual needs. Service agreement: Find out if a medical alert system provider requires a service agreement; if so, review the contract terms closely. Support: Choose a medical alert system which ensures you can receive expert support at any time. Roughly 9,500 senior deaths are associated with falls each year, according to Comfort Keepers. Meanwhile, there is no shortage of medical alert systems with fall protection. If you evaluate the best medical alert systems with fall protection, you can select a system which matches your expectations. As a result, you can enjoy a medical alert system which empowers you to quickly get in touch with a trained operator in a fall emergency.